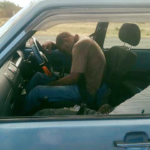 Pictured: A drunken driver and his passenger passed out next to the B1 Road between Okahandja and Otjiwarongo._Photos: Contributed. 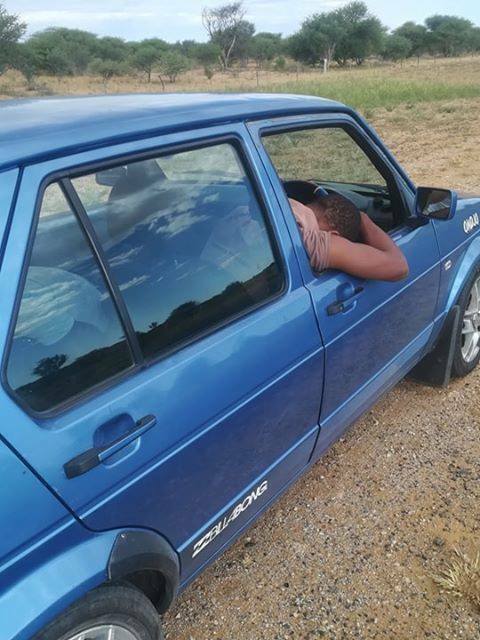 PEOPLE who reported a passed out drunken driver on the road between Otjiwarongo and Okahandja to traffic police were left in utter confusion when the officer on duty requested them to wake the culprit up to tell him to keep on driving towards Okahandja and to report himself to the police station. 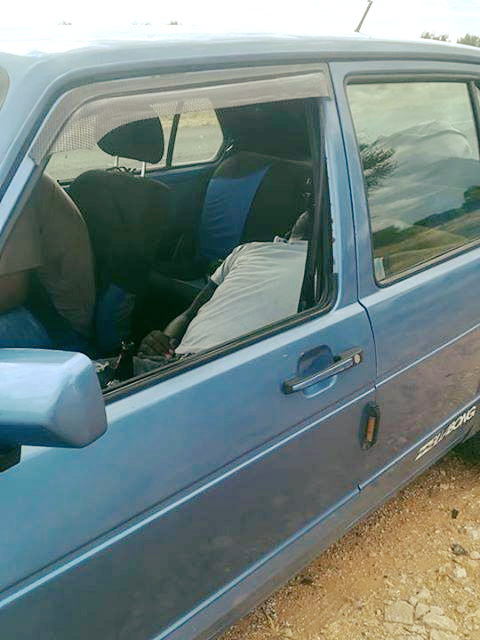 One of the people who witnessed the entire incident said they were returning to Windhoek late on Friday afternoon when they noticed the driver of an older model blue Volkswagen Golf overtaking other vehicles in a dangerous manner and also driving erratically. 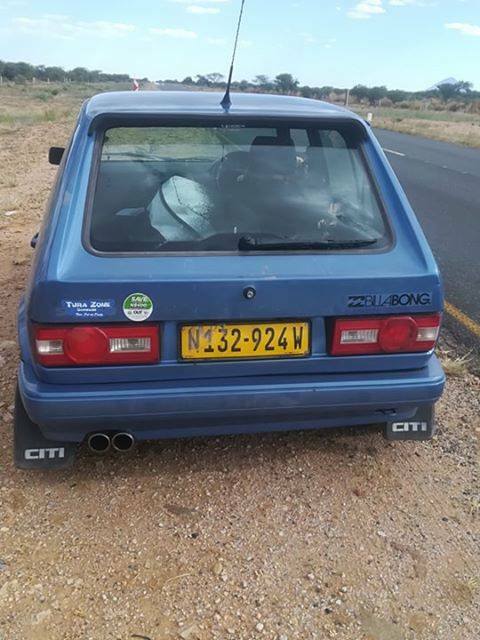 The witness said the car eventually disappeared from their view but they encountered it again while it was parked right next to the highway about a 115 kilometres away from Okahandja. 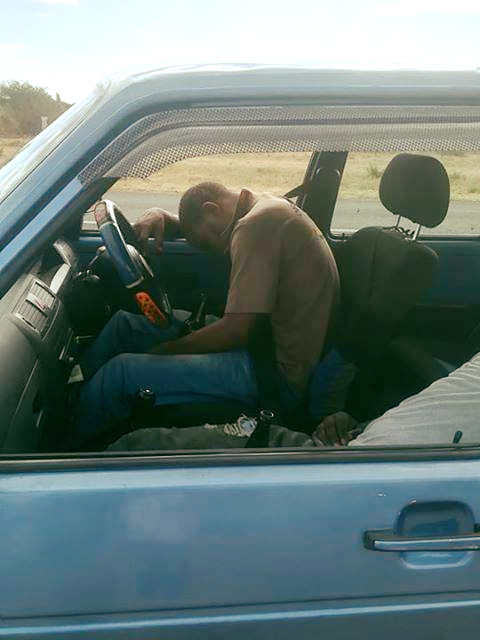 The person said they used a phone to report the incident to the Okahandja Traffic Police where a “rather unhelpful” police officer answered the phone. The witness said they still do not know whether help was sent out.